Handré De Jager is back with another look at his fantastic Mega Man 3 Unreal Engine 4 project. This time we get a peek at Shadow Man's stage and some early Rush Coil footage. Though the mechanics aren't quite ready yet, Rush Coil is looking mighty fine. It's hard to believe one guy is behind this! Stay tuned for more updates... we may yet have that public demo! If you've invested enough time in the 3DS version of Mega Man Legacy Collection, chances are you've noticed some technical hiccups. Mega Man 5 seems to be the worst offender of the lot with frequent frame skipping and slowdown. It can get pretty nasty. 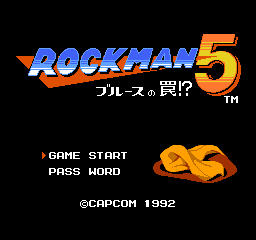 Until a patch becomes available (if at all), there's an easy solution: play Rockman 5. 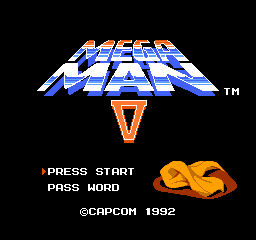 Seriously; for one reason or another, Rockman 5 runs a lot smoother than Mega Man 5. 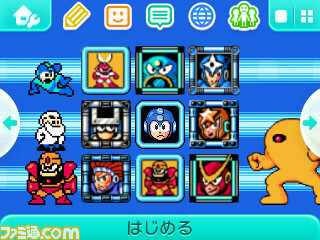 To do this simply head to the Options menu and toggle the games from Mega Man to Rockman. Every game in MMLC is then swapped with its Japanese counterpart. This feature is entirely exclusive to the Nintendo 3DS version. I can't explain why this is technically possible. Title screens and languages aside, the two games are practically the same... but it works! 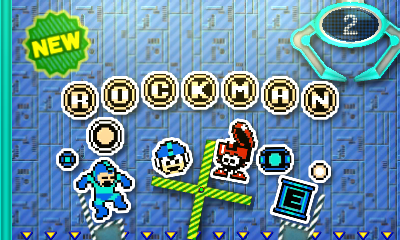 A whole slew of Rockman-themed badges hit Nintendo Badge Arcade in Japan today. These are expected to arrive in North America and Europe sometime in the near future. For now, you can see 'em all after the jump! 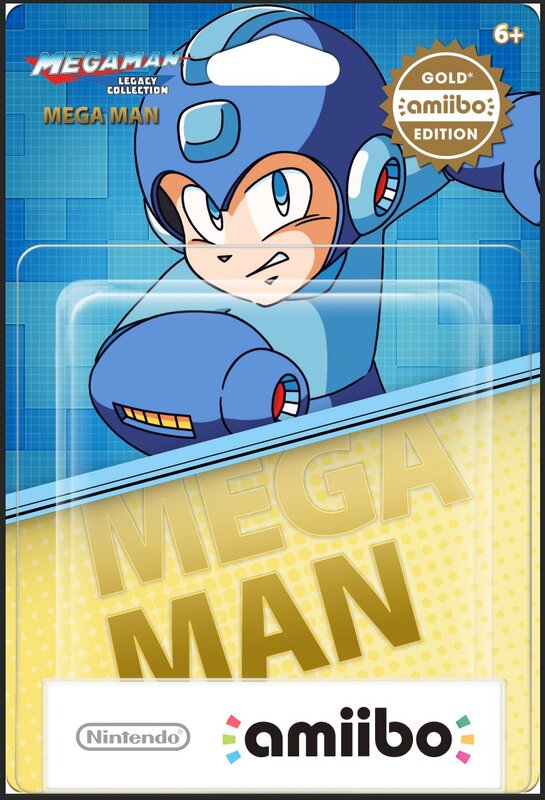 Can you believe it's been six years since the last physical Mega Man game hit store shelves? Ten years since the last one on home consoles? All that ends today with the physical release of Mega Man Legacy Collection for PlayStation 4, Xbox One and Nintendo 3DS. Right now, you can pick MMLC for $29.99 at retail or $14.99 from the North American eShop (a pricing error currently lists it much higher. Don't buy until it's fixed!). 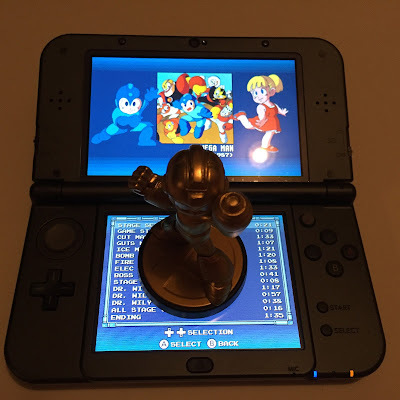 The Nintendo 3DS Collector's Edition is also out now for $49.99, which ships with an exclusive gold Mega Man Amiibo. Alternatively, there's the Amazon-exclusive Mega Man & E-Tank statue bundle for $129.99 (PS4 and Xbox One only). Whether your picking up MMLC for the first time or buying every SKU under the sun, I hope you enjoy! You know, we really haven't seen all that much of the 3DS version of MMLC in action. Thanks to the folks at TiLMENDOMiNATiON, though, we've got ten meaty minutes of stuff. From interface to Amiibo support, there's a little something here for everyone. A small peek at the configurations menu, for instance, reveals the option to toggle between US and Japanese versions of the games. That's something missing completely from the home consoles and PC release. Watch the gameplay segments closely; you'll see some of that screen tearing and stutter I was talking about. A couple weeks ago, Rockman EXE manga artist Ryo Takamisaki posted a curious teaser image on Twitter. Today, we have a better idea what that's all about. 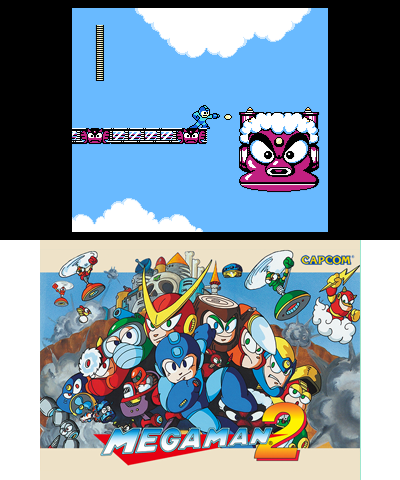 For your consideration, here's a side-by-side comparison between Mega Man 2 from the Nintendo 3DS version of Mega Man Legacy Collection and the Virtual Console port of Mega Man 2. The difference is immediately apparent: brighter colors and crisper visuals. Unlike the stretched 4:3 Virtual Console ports, MMLC delivers 1:1 pixel mapping. 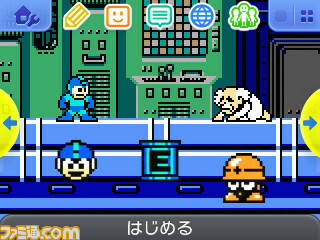 It's not just Mega Man 2; every game on the collection looks a lot nicer than their 3DS Virtual Console counterparts. Head over here for a batch of direct feed screenshots. If you own any of the previous Virtual Console versions, boot 'em up and compare. Needless to say, Mega Man Legacy Collection one-ups the Virtual Console ports in presentation. As for playability, the VC ports actually run a tad smoother. It's not HUGELY apparent, but MMLC suffers from the occasional jitter and screen tearing. Everything is very much in a playable state, of course, but it's far from the condition of the PC and home console versions. You'll get to see and experience it yourself come February 23rd. Thanks for the assistance, SRL Silver! Hot on the heels of Destructoid's Mega Man Legacy Collection Collector's Edition unboxing, Rockman Unity brings us an up-close look at its Japanese counterpart. What's inside the blue box? To the dismay of Amiibo collectors, the 3DS Mega Man Legacy Collection Collector's Edition gold Mega Man Amiibo does not come with its own label. What you get is a generic blank plastic case. That kinda stinks, right? 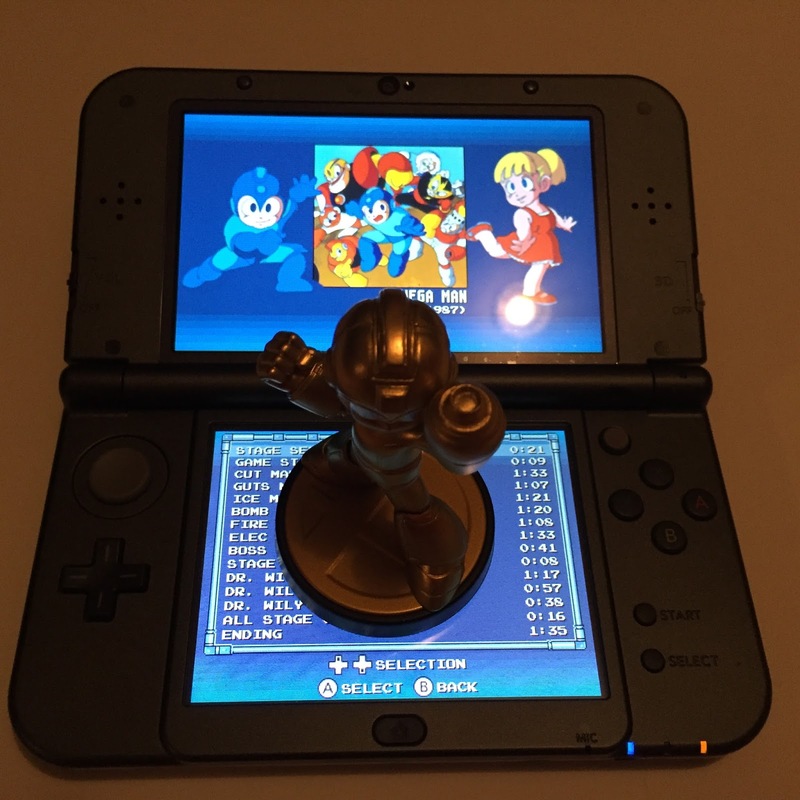 To remedy this little flub, Amiibo News and Seth Hey designed two custom gold Mega Man labels. Simply download the high quality images here, print them out on some solid cardstock and voila! An awesome-looking package ready for display. You've got a couple days to get yours primed and ready in time for MMLC's 3DS debut on Tuesday, February 23rd. Enjoy! Popular chiptune artist RushJet1 is back with his latest work: the entire Mega Man 4 soundtrack, remade with the VRC6 chip. The original OST is nothing short of great, but RushJet1 takes it up a notch with Konami's proprietary NES sound chip. You can watch RushJet1 playing through the game with his tunes above. If you like what you here, swing on by to Bandcamp for a download. Enjoy! 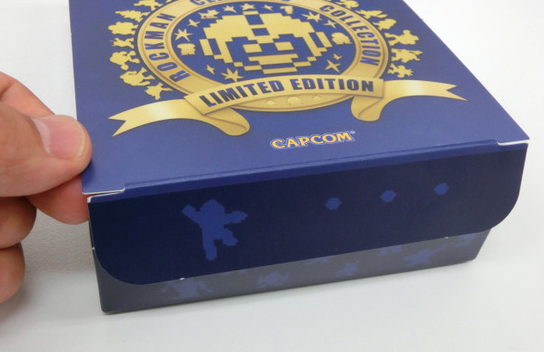 Ahead of the game's launch next week, Destructoid's Chris Carter brings us an in-depth look at the Nintendo 3DS version of Mega Man Legacy Collection's Collectors Edition.Chris goes on to show us the contents of the Collector's Edition box - the gold Mega Man Amiibo and six postcards. What's more, we now have actual confirmation that the game does have some 3D. It's mostly used on menus and to pop out "the background overlay during play." The effect is very subtle at best. Head over to Destructoid for the full look. You'll also find some gameplay of the 3DS-exclusive challenges! Well isn't this a pleasant surprise! Spotted by Toy Ark at this weekend's Toy Fair, Super7 are readying a ReAction Mega Man figure. The figure will reportedly stand 3.75 inches in height. Beyond the above packaging mockup, no other information is available at this time. Super7's ReAction figures are hugely popular figures based on popular TV and film characters. Mega Man (and the newly revealed Street Fighter figures) mark the company's first forray into video game territory. More news on this as it comes! For better or worse, Breath of Fire 6 is nearing launch. The long-awaited sixth entry is slated to hit PC, Android and iOS in Japan on February 23rd. Soon after, players will be able to acquire a slew of Capcom character-themed avatar attire. The campaign will extend to the Mega Man franchise, with costumes based on Mega Man and Roll (in her Mega Man 8 duds). More images are available at Gamer. I never thought I'd see the day Mega Man would be referenced so blatantly in BoF. Indeed, Breath of Fire 6 is very different than any long-time fan would have expected. The game uses a service-based business model, designed to generate revenue for a long period of time. Creating content based on other IPs, such as Mega Man, ensures a steady cash flow. I would not be surprised if we saw more Mega Man content where it doesn't belong. A 2011 Rockman Maniax interview between Mega Man creator Akira Kitamura and Hitoshi Ariga has been translated courtesy of Shmuplations. It's a delightful read brimming with untold Mega Man development secrets. Seriously! There's so much in here we've never heard before. Kitamura: In the beginning, I imagined a character like Mega Man equipped with some kind of weapon, but when you transformed, your whole appearance would change. You know that little protrusion on the top-front of Mega Man’s helmet? When you changed weapons, it was supposed to change like the Ninja Captor character’s helmets, and show a little symbol depending on the weapon’s element (fire, water, lightning, etc). Ariga: Ah! So that was the idea behind the helmet design…! Kitamura: Unfortunately, for various reasons, we weren’t going to be allowed to use those symbols like that. 1 But that design element was super important to me—it wasn’t really up for compromise. As I sat there fretting, Matsushita came over and said, “How about this?” What he showed me was the color change mechanic. 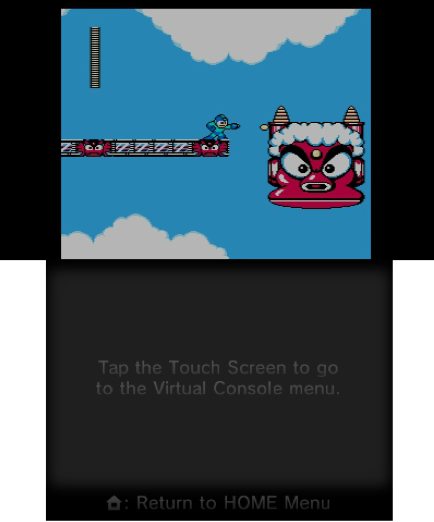 As you'll come to read, Ninja Captor (pictured above) is one of many specific Tokusatsu properties that influenced the original Mega Man design plan. Of course, there's a lot more history to it than that. Other interesting tidbits dropped include Mega Man's ability to turn himself off (when he no longer feels needed), Cut Man as a protagonist, Mega Man's armor was almost white, Roll almost had curls, and oh-so much more. It's crazy, people. Check out the full interview here and be enlightened! 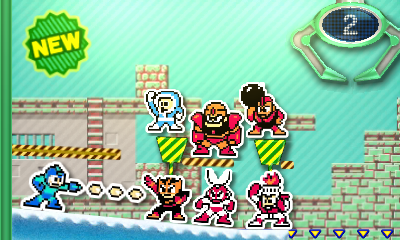 Just in time for the launch of Mega Man Legacy Collection for Nintendo 3DS, a slew of Mega Man-themed badges are slated to hit Nintendo Badge Arcade later this month, Famitsu reports. Distribution will begin in Japan on Friday, February 26th. For those not in the know, Badge Arcade is a "free-to-start" application which allows you to decorate your 3DS home menu with badges featuring Nintendo characters and iconography. To my knowledge, Mega Man represents the first 3rd party content offered from Badge Arcade. EDIT: No quite; that honor goes to Monster Hunter (another Capcom property). 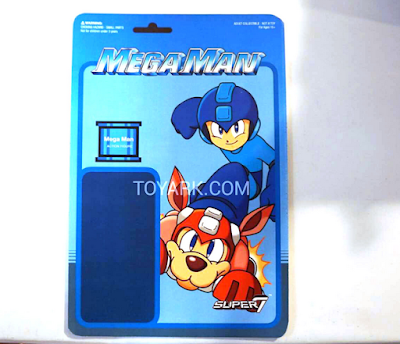 Much like the Mega Man 3DS themes shown above (which come bundled with the Collector's Edition), I have no doubt we'll see these outside Japan eventually. We'll keep you posted! 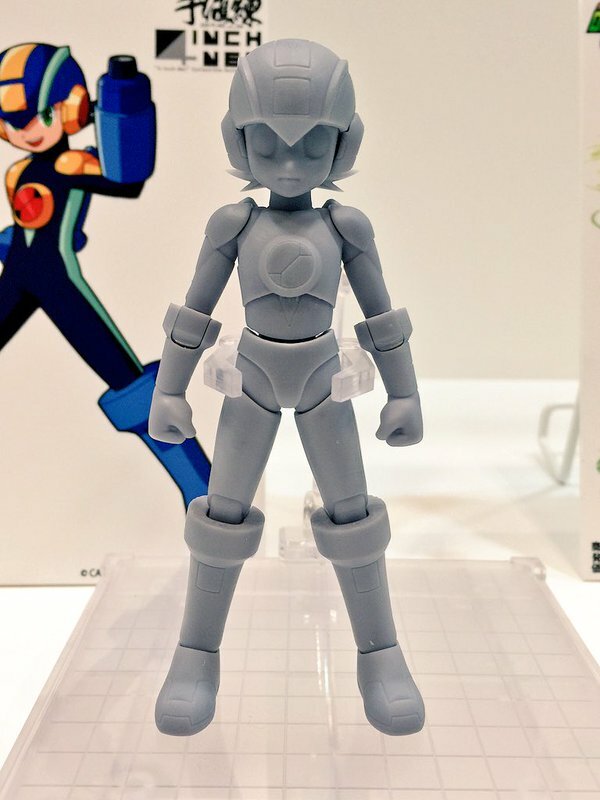 By way of WonderFest 2016, Good Smile Company have announced plans for a Mega Man X Nendoroid figure. Information is spare at this time. Stay tuned for updates! The Rockman EXE 15th anniversary celebration is currently underway at Asakusa Hanayashiki theme park. For everyone who can't be there in person (i.e most of us), our friends in Japan have been snapping up lots and lots of photos. Check 'em out! 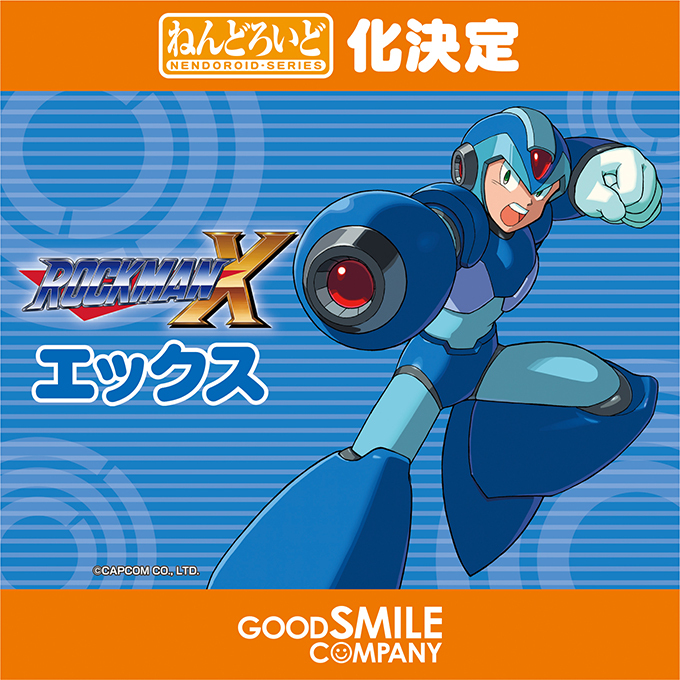 Leading up to the launch of Rockman Classics Collection, Capcom has partnered with select Animate shops for a special in-store promotion. 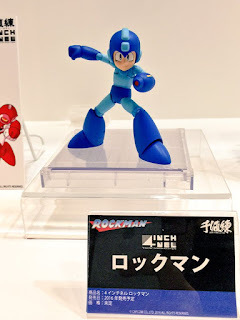 Retails have created dedicated Rockman corner (har har har) featuring oodles of goods. It's an all-out invasion. It could be nothing, it could be something. 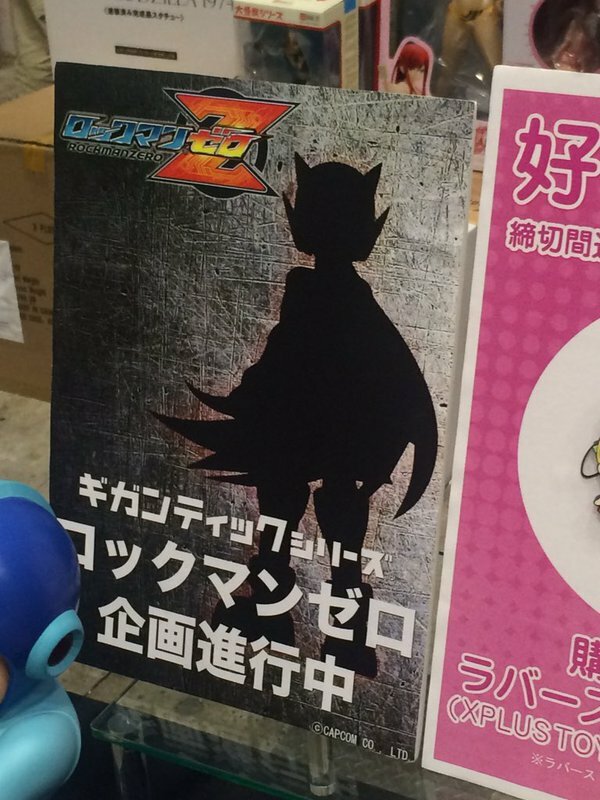 Either way, Rockman EXE manga author and illustrator Ryo Takamisaki recently posted the above image on his promotional Twitter account. It's a teaser for something set to be shown in March (likely the 21st), just in time for Rockman EXE's 15th anniversary in Japan. Eagle-eyed fans will note the silhouettes of Rockman.EXE himself and Forte*. That's all we have to go by for now. I'm wagering this is an anniversary-related one-shot, which seems like something Takamisaki would do. Then again, who can say. It's entirely up for speculation. These next couple months are big for EXE. There's an anniversary event, new merchandise, and even a reprint of Rockman EXE Official Complete Works. It's an exciting (and hopeful) time to be an EXE/Battle Network fan. You'd be wise to keep your expectations in check, though. We're teaming up with SpaceLab9 for our latest contest, in which we'll be giving away two deluxe Best of Mega Man 1-10 vinyl soundtracks. There's one Mega Man-colored variant and one Cut Man-colored variant with your name on it. Read on for the details!